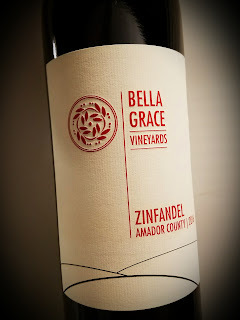 Bella Grace Vineyards is located in the Sierra Foothills region of Amador County. Run by Michael and Charlie Havill, their vineyard sits on 20 acres in those granitic rolling hills. The winery says Michael is "one of the few elite female winemakers in California," while husband Charlie is credited with being the mastermind behind the vines. The winery was named for their two grandmothers. The Havills grow Primitivo, Zinfandel, Grenache, Vermentino, Grenache Blanc, Syrah, Petite Sirah and Mourvedre, sustainably without pesticides, as well as three types of olives. Nearly seven acres of the estate are devoted to four different clones of Zinfandel grapes. 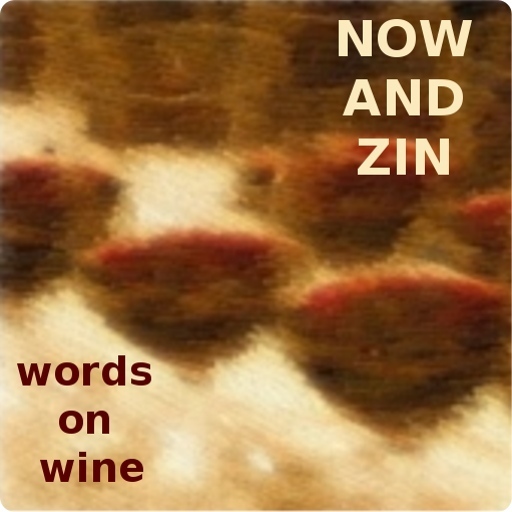 This one is not an estate wine, but the 100% Zinfandel grapes all hail from Amador County. It rings the alcohol bell at 14.2% abv. It's a Double Gold winner in the San Francisco Chronicle Wine Competition. The 2016 Bella Grace Zinfandel is dark garnet in color and smells of blackberry, plum, slight cranberry and a healthy dose of bramble, with a layer of sweetness as counterpoint. On the palate, deeper dark fruit and raspberry comes across in a rustic fashion with a zing of oak. The wine drinks smoothly, with fine tannins and a medium mouthfeel. Earthy, dark fruit lingers on the finish.